Many of our clients use a variety of social media, such as Facebook, YouTube, Twitter and more… Social media today is very powerful and respectively very cumbersome. Instead of having one Website to update you now have all of your social media sites along with it. Social media, if utilized correctly can be a very powerful marketing tool, not only to drive traffic to your website, but to increase visibility of products, specials, events and more. There are things to understand about social media that go above the normal users knowledge, for example Facebook posting only reaches a percent of your followers and not all of them, did you know this? Many companies are unaware of this. Sometimes your You Tube videos can outrank your actual website and will come up first in a Google search, did you know this? many do not, so they skip uploading and tagging their videos. 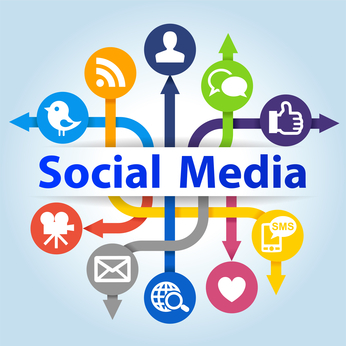 Let us help you with designing, and maintaining your social media. Let us help you come up with strategies you can use to utilize your social media better and drive more business your way. Again our consultation is free, what you learn will be priceless.